I couldn't refuse a picture like this! 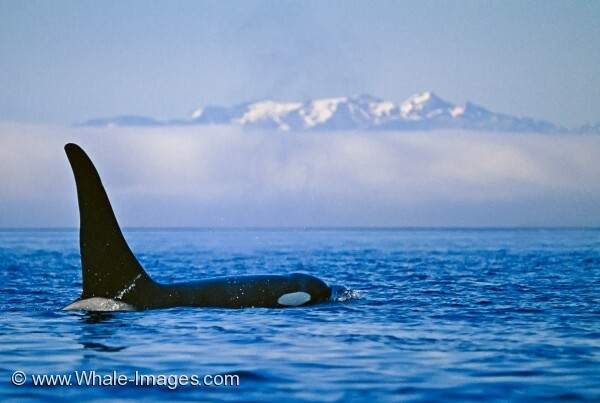 Snowcapped mountains, a veil of white fog suspended atop the islands, and a beautiful male orca whale cruising through the calm waters in the foreground - the kind of landscape pictures I love. This Killer whale seemed to appeared from nowhere and lined himself up perfectly for some landscape pictures.